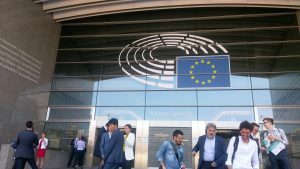 On May 22, The European Commission published the new Agenda for Culture: the Creative Europe Programme will start for the period 2021-2027 in a post-Brexit Union. Despite many important changes, much still has to be achieved. 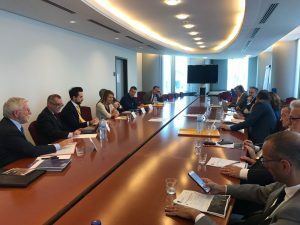 Several questions related to the music sector remain open and with the members of ELMA network, EURICCA aims to bring them to the attention of European Parliament. In this context and following the vote of the European Parliament in favor of Music Moves Europe and stepping on the European Music Day events across Europe (Fête Européenne de la Musique) and the 150th Anniversary of Gioacchino Rossini, a debate on the need to develop sustainable and innovative European Policies for Music Sector was organized by Silvia Costa, Coordinator of the Group of Socialists and Democrats (S & D) of the Commission for Education and Culture (CULT) and co-sponsored by Patrizia Toia, Head of Delegation for Democracy and European Parliament The S & D Group. 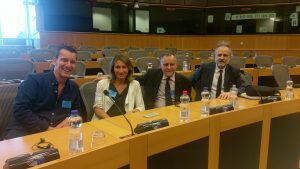 Aside the different European partners of the CULT Commission and other collaborators of the European Commission (DG EAC & DG CONNECT), the encounter turned into an historic meeting between representatives and colleagues of the European music day networks (EMDA) from France (sylvie Canal), Greece (Georges Perot) and Italy (Marco Staccioli) and of course, a great opportunity to interact with ELMA since the President of the network, Mr Vincenzo Spera was also invited and present during the sessions. 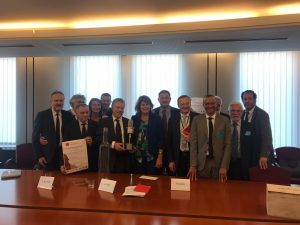 Besides and on this occasion, he awarded Silvia Costa, Member of the European Parliament’s Committee on Culture with the following motivation:“Commitments, Passion and Dedication to the Music: European Cultural Heritage”. 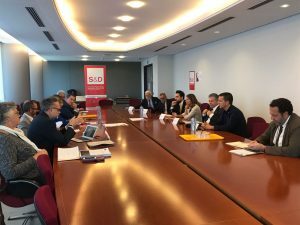 A bottle, made of glass, encloses the message and the Assomusica Microphone, a symbol of the Association’s will to voice the demands and at the same time an invitation for MEP Costa to take these initiatives forward. Silvia Costa is also rapporteur of the Creative Europe Programme which includes many issues carried out by Assomusicain all these years. Some of these questions include the need for greater participation of young people in the radio-television broadcasting; the effort to encourage the union between musical industry, live performing and new technologies; music as important instrument against social exclusion; the necessity of politics to valorize and internationalize the Italian music, allowing a greater penetration abroad. 1. July, 2018 in News.